Meicher CPAs, along with managing partner Gordy Meicher, is proud to be a major donor to Operation Fresh Start (OFS). 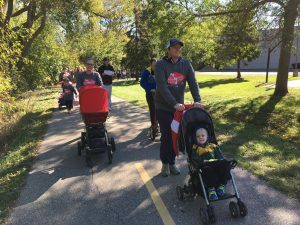 OFS is an organization which has provided comprehensive education, employment and training services to over 8,000 youth and adults in Dane County since 1970. A non-profit 501(c)(3) organization, OFS is best known for its core program, titled Pathways. Pathways helps young people (who have previously dropped out of high school), obtain their high school diploma and gain the skills to be successful in life. OFS annually serves 200 disconnected youth by providing education to attain a high school credential, job training in construction or conservation work, and guided mentorship in the transition into post-secondary education or a living wage career. 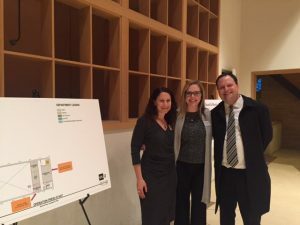 On January 23rd OFS unveiled its new home at 2670 Milwaukee Street in Madison, WI, this former church will provide OFS with the space necessary to double the number of young people on the path to self-sufficiency. “OFS’ work as an organization is absolutely necessary if we are to make progress in our community toward improving the well-being and future prospects of all our youth and particularly our youth of color,” said Erica Nelson, Project Director, Race to Equity and OFS Board Member. Meicher CPAs partner Cindy Meicher is an Executive Board Member and Treasurer for the organization. 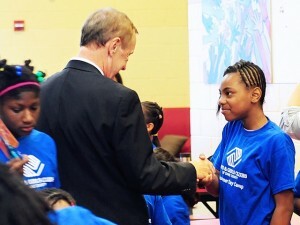 Boys and Girls Club of Dane County unveiled the remodeling of its technology lab, made possible by a gift of more than $50,000 from Meicher CPAs, LLP. The renovation gives the technology lab a much-needed upgrade with new computers, workstations, printers, enhanced software capabilities, and new programming potential. Meicher CPAs has supported Gilda’s Run in Middleton for the past six years, which raises money for Gilda’s House, a local cancer support center which ensures that all people impacted by cancer are empowered by knowledge and strengthened by action. Recently David Meicher, a staff CPA at Meicher CPAs, received an award for raising the most money for the annual “Kiss the Goat” fundraiser sponsored by REACH-A-Child as part of Waunakee’s Wauktoberfest. 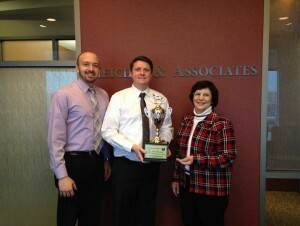 He received the traveling trophy with his name engraved on it, which we can display in our office. REACH-A-Child is a Madison-based non-profit currently partnering with First Responders in many communities across Wisconsin. REACH-A-Child partners with local First Responders (whether a police officer, a firefighter or an EMT) to supply each vehicle with a REACH BAG (A bag complete with 10 children’s books and 10 drawstring backpacks) which the First Responders keep in their vehicles to bring out when they encounter children-in-crisis. Approximately 6,200 children die each day from hunger and hunger related disease. 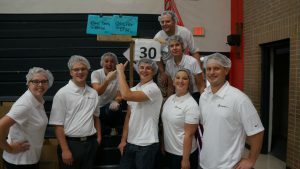 Sauk Prairie Against Hunger is part of the hunger solution through Feed My Starving Children MobilePack. The approach is simple: children and adults hand-pack meals specifically formulated for malnourished children, and ship the meals to nearly 70 countries around the world. 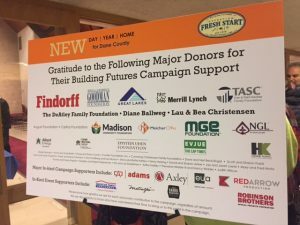 The Friends of Pheasant Branch organized as a non-for-profit organization in 1995 and received 501(c)(3) tax exemption status from the Internal Revenue Service. Through the support of members and volunteers it has helped restore, protect and promote acres of prairie, wetlands, woodlands and savanna. 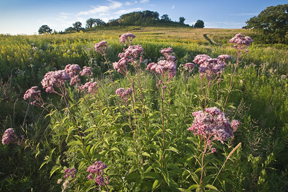 Land that has been recovered from former farmland, unprotected wetlands and grazed savannas is now lovingly managed as urban wilderness through the efforts of the Friends to avail these native plant communities to wildlife and human visitors alike. Meicher CPAs staff accountant Holly Sledge is a member of the Executive and Finance Committees for Friends of Pheasant Branch Conservancy and is also the Treasurer.